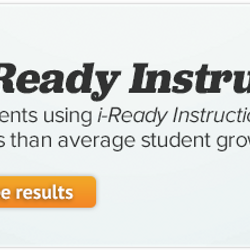 i-Ready combines a valid and reliable growth measure and individualized instruction in a single online product that saves teachers time at a fraction of the cost of similar products. 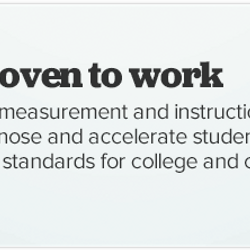 A single K–12 adaptive Diagnostic for reading and mathematics that pinpoints student needs down to the sub-skill level, and ongoing progress monitoring shows whether students are on track to achieve end-of-year targets. 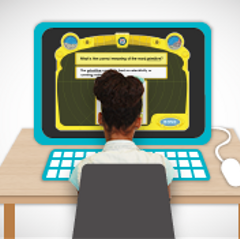 Provides additional downloadable lessons to help meet individual student or small group needs. 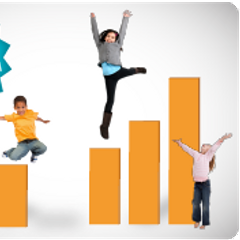 Provides personalized student instruction targeted to students’ unique areas of needs and mobile apps to boost achievement. Easy-to-use reporting and ongoing progress monitoring provide educators with real-time insights for each student at the class, school, and district level. 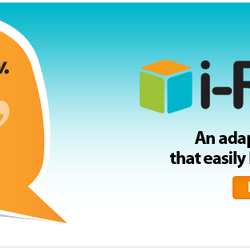 Adaptive assessments, like i-Ready® Diagnostic, leverage advanced technology to provide a deep, customized evaluation of every student and to track student growth and performance consistently and continuously over a student’s entire K–12 career. By dynamically adapting based on student response patterns, adaptive assessments are able to derive large amounts of information from a limited number of test items. This allows the assessments to more accurately and more efficiently pinpoint students’ needs as compared to traditional fixed-form tests. 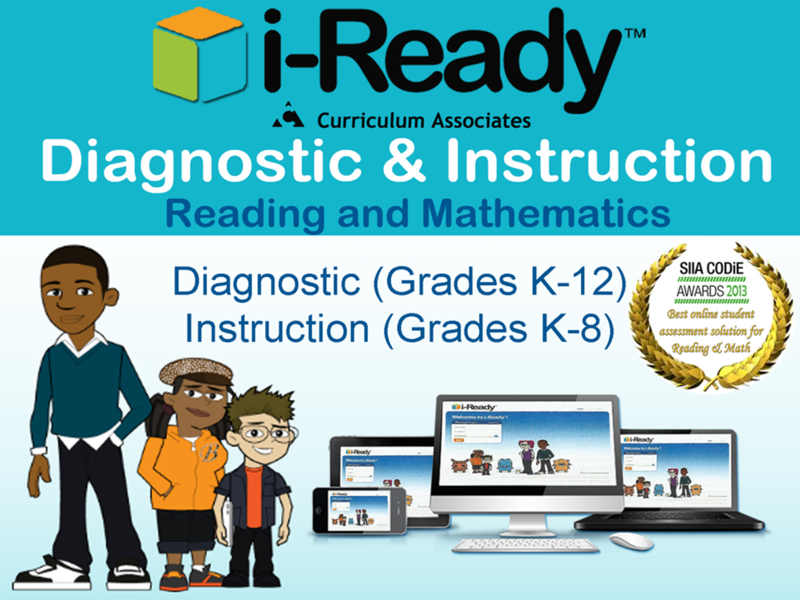 Based on the results of the i-Ready® Diagnostic, students are automatically placed into student instruction customized to their placement levels. 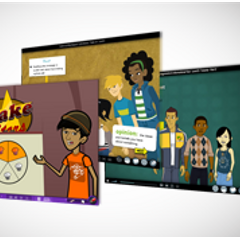 These online lessons provide a consistent best-practice lesson structure and build conceptual understanding, in addition to being engaging and fun for learners of all levels. 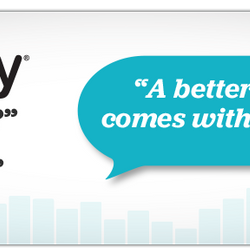 The i-Ready Diagnostic is backed by extensive validity research and consistently achieves industry-leading results when studied alongside rigorous assessments. 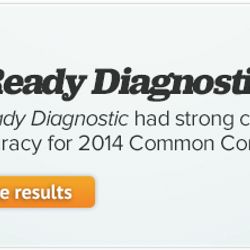 Most recently, independent research showed i-Ready Diagnostic to be highly correlated with, and an accurate predictor of results for the Smarter Balanced, PARCC, and other Common Core state assessments.